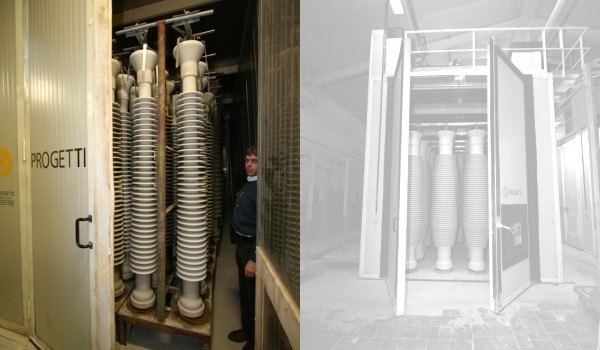 Progetti Plant dryers for electrical insulators are quicks and reliable thanks to the experience matured over years in laboratory tests. 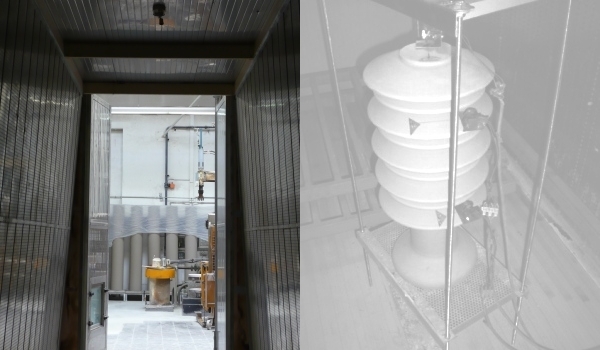 The continuous implementations executed have also allowed to reach an excellent energy efficiency that allows to reduce fuel consumption. 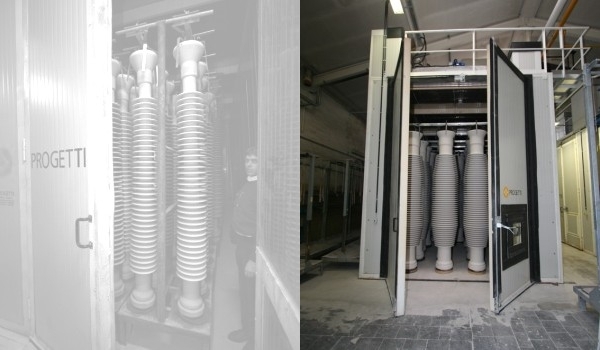 Before starting the production of the insulators dryers, our technicians carry out a test with the product that has to be dried with a small test of the insulators dryers, through which Progetti Plant can carry our an optimized design of the plant. 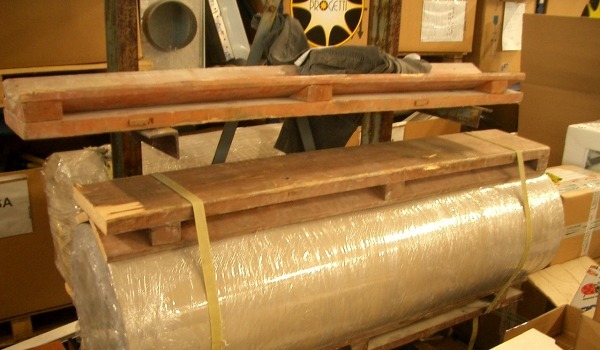 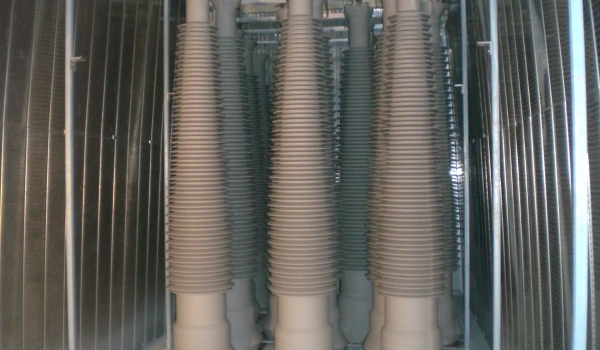 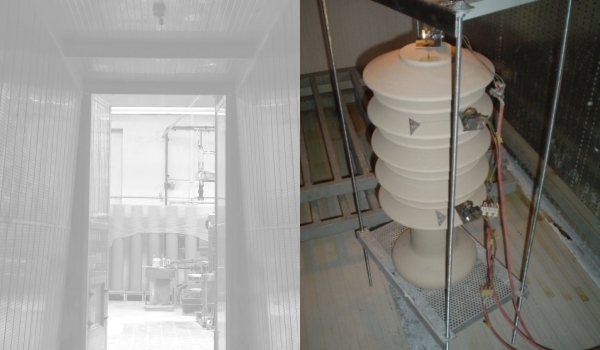 Our insulators dryers are able to dry any kind of piece, both hollow and solid core ones.